Welcome back to Thumbelinaslifestyle it is May and another month has gone and passed. I am soooo excited for this month, a lot of exciting of things are going to happen but for now let ‘s go through my little brown bag full of goodies. Somehow I have a lot of items to share with you all. Sebastian Thickefy Foam. For people with fine thin hair (like me) this product is great. The product thickened my hair enormously after I washed and blow dried my hair. 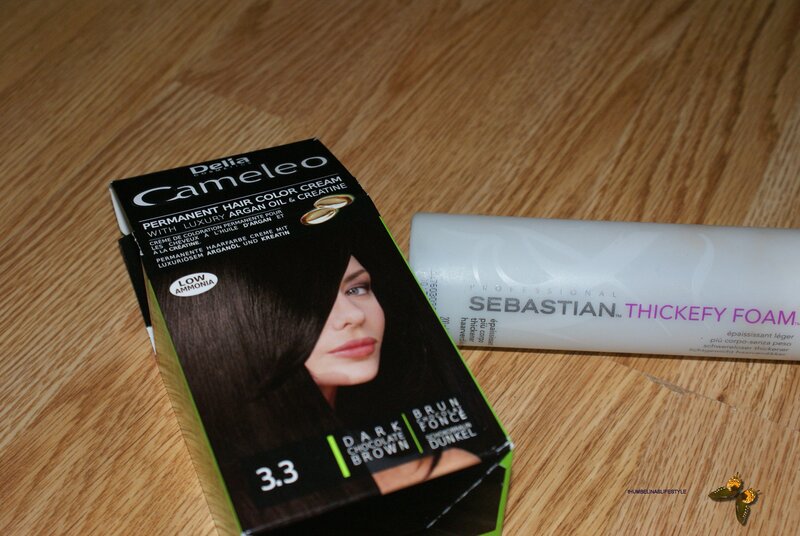 Cameleo permanent hair color cream in dark brown. Love this hair colouring and for the price its super. Especially for girls on a budget. We all want to look good but don’t want to be scraping the barrel at the end of the month. 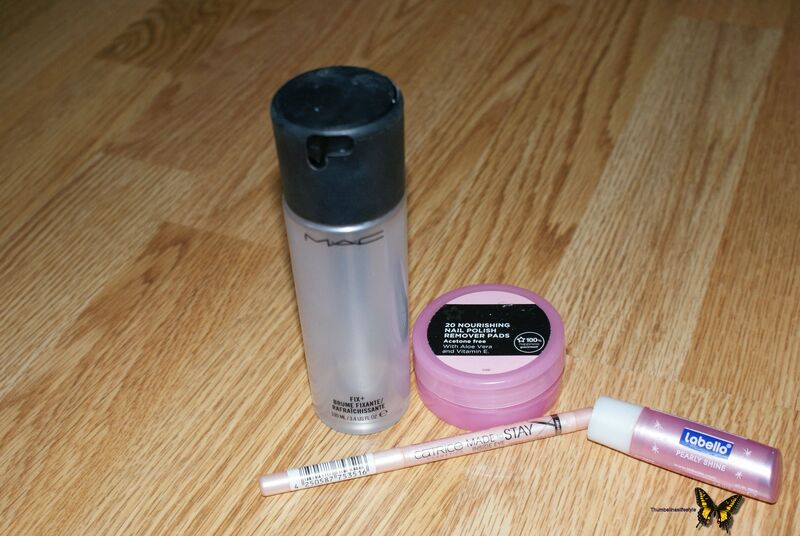 Mac Fix Plus. I only have good things to say about this product. I love the feeling when I spritz this on my face so refreshing. Also it does make your make up last longer. Max Factor Clump defy mascara in black. 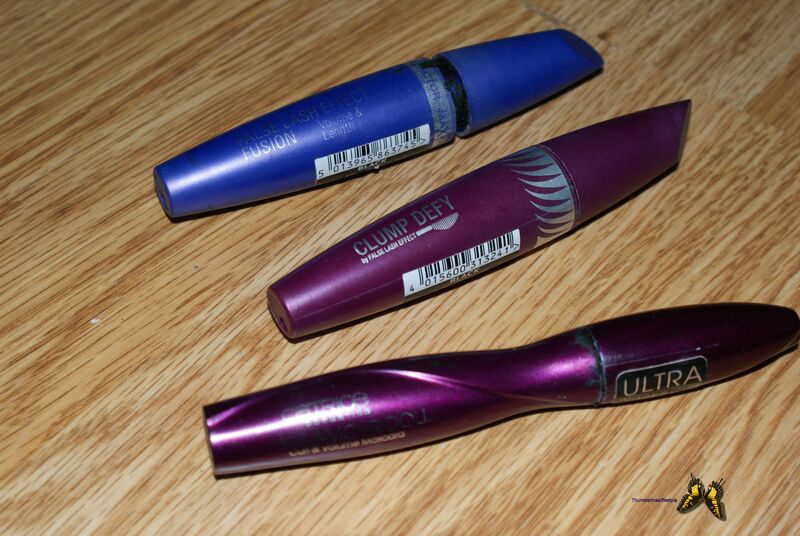 Some people claim that this mascara is a dupe for the Cover Girl clump crusher. Even though I have never tried the Cover girl mascara, I have to write, I don’t like this mascara. I thought I liked this mascara but every day I came home I had residue or flaking underneath my eyes. Catrice Glamour Doll Curl &Volume Mascara. Urgg the rant continues. Could not believe I had this mascara in my beauty case. Needed to get rid of it plus it dried out completely. Lobello Pearly shine lip balm. This lip balm was ok however this balm did not work for me when I had chapped lips. The shine doubles the effect of chapped lips. Max Factor False lash effect mascara in black. Need I write more, I have been loving this mascara for a while now. Thank god I have a back -up mascara.Please Max Factor don’t discontinue this mascara. Super Drug Nourishing Nail remover pads.My thoughts are still the same good item for purse. This in case of emergencies. Catrice Made to stay Inside Eye highlighter pen. This product seemed to work for the first view weeks but afterwards it seemed to dry up and the product did not function anymore. 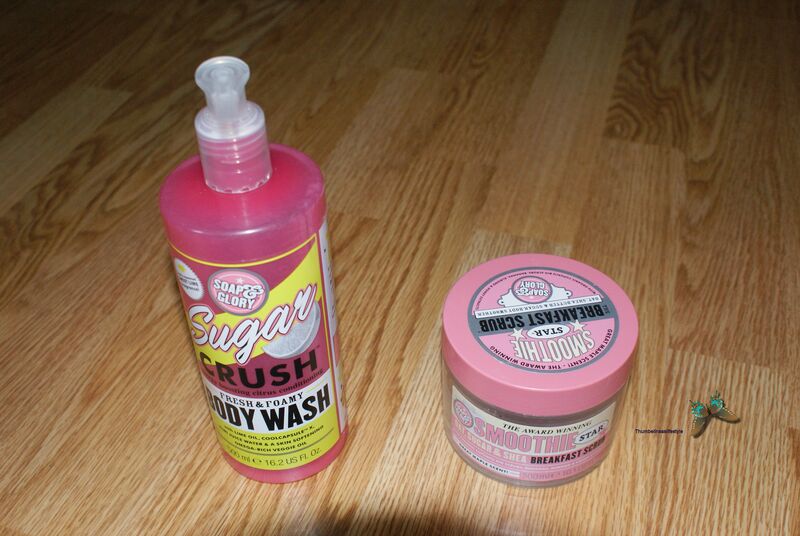 Soap & Glory Sugar Crush Body Wash. I love this revitalizing body wash. Such a shame that no drugstore in Holland stocks it. I might have found a similar and cheaper body wash. But still I wouldn’t mind a store that sells it. Van der Hoog Yummy Yogurt face mask. This was the first time I used this face mask and boy was this nice. The smell is sooo fresh and it does make my face feel so soft. Since I loved this mask I restocked this mask. Hmm might have a little mask time this Sunday. Oral B floss. It was just floss only pity I could not finish the product as I could not get the floss out in the end. I purchased the big one the first time because I heard a lot of Amazing things bout this product. But maybe it’s best to try the travel size Incase you don’t like it. Hope this helps☺.